First, you'll need to have permissions on the site in question to upload an image. If you're not the site owner, you would need to either be in a Permission Group with the 'Image Gallery' Site Area permission enabled, a site admin, or on a site where all members can upload images to the site. 1. Go to the 'Gallery' tab of your site. The Gallery tab is a default tab on a guild site, though it may have been renamed by the site admin (or removed) if you don't see it. 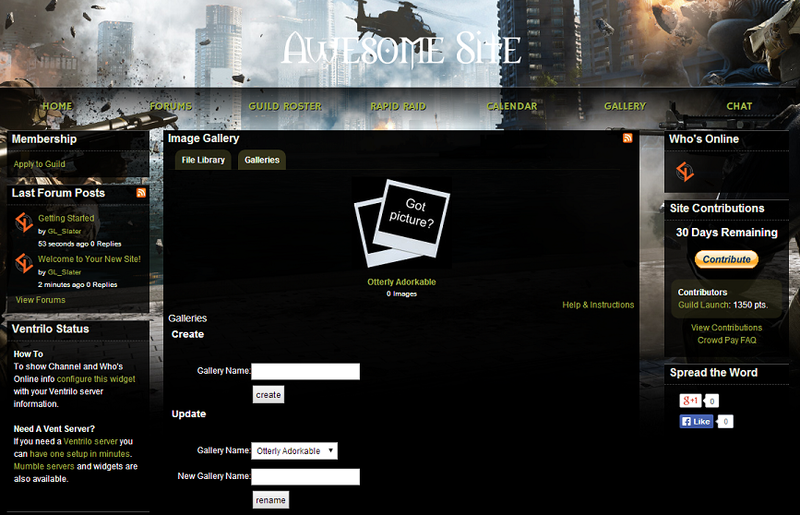 Site admins can also access this page on the Admin Menu -> Features -> Storage -> Image Gallery area of the site. 2. 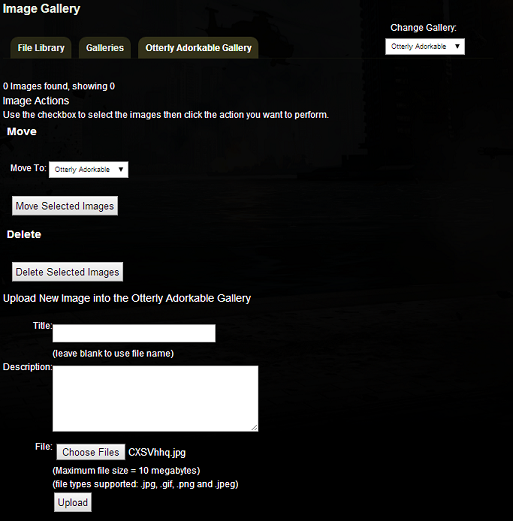 Choose the Gallery you would like to upload the image to. 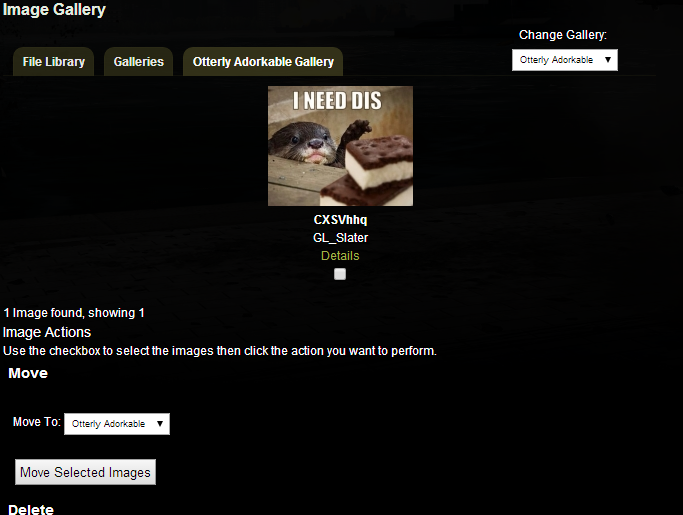 In the example site above, there is only one gallery ("Otterly Adorkable"). If it's empty, it will have the icon displayed above asking "Got Picture?" - otherwise it'll show a thumbnail of a gallery image that has already been uploaded. Click that link and you'll be brought to the gallery in question. 3. Choose the image you'd like to upload. Click the 'Choose Files' button near the bottom, and select the image(s) on your computer that you'd like to upload. 4. Click the 'Upload' button at the bottom of the menu. Remember that when you upload a picture, three files are created. The first is a thumbnail of 110 × 107 pixels that is shown on this page. The second is a midsize picture that is shown on the next page. That image is 600 pixels wide and as tall as necessary to maintain the aspect ratio. The third is the full original image and it is linked from the image detail page. This is done to make the image gallery as visually appealing as we can while still giving you access to the original image file.